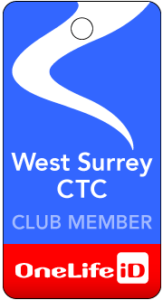 West Surrey CTC have organised a 20% off discount code for any of our members, friends or family to use to enter a great new cycling sportive; The Sanofi Surrey Classic Bike Ride. Join the likes of Chris Robshaw and Kirsty Gallagher on their charity bike ride around Surrey all in aid of Sport for Freedom, an anti-slavery and human trafficking charity. With routes on offer of 15, 55, 85 or 100 miles, there really is something for everyone. The ride starts and finishes at Horsley Towers on Sunday 28th June and takes in the surrounding Surrey countryside. If you’re interested in the ride, please take a look at their website here. If you do end up entering, just enter the following discount code upon checkout to claim your 20% off. Hope to see you all on the start line.